Satan has designed doctrines to draw away people from the faith. 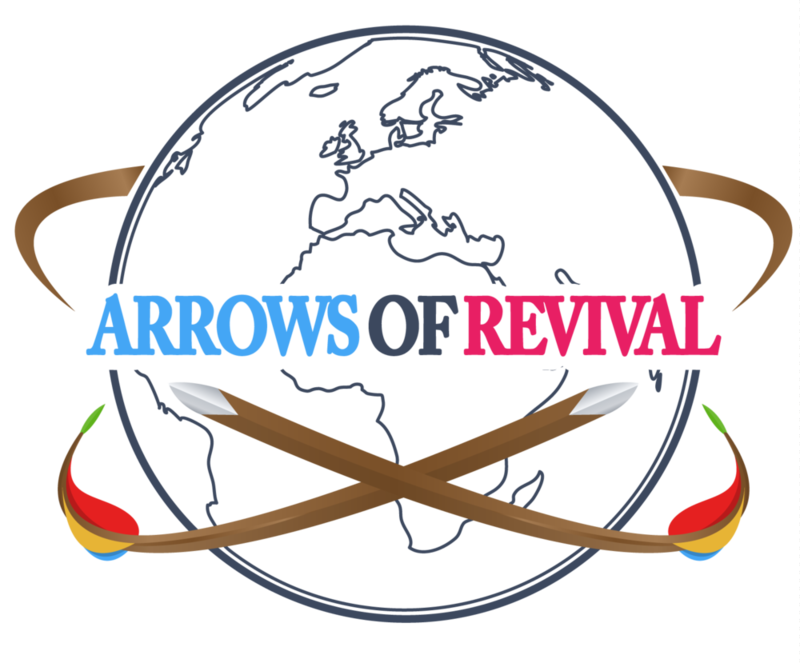 These doctrines are anti-revival as they quell people’s desire for the things of God. Jude 1:3-4 Beloved, when I gave all diligence to write unto you of the common salvation, it was needful for me to write unto you, and exhort you that ye should earnestly contend for the faith which was once delivered unto the saints. 4For there are certain men crept in unawares, who were before of old ordained to this condemnation, ungodly men, turning the grace of our God into lasciviousness, and denying the only Lord God, and our Lord Jesus Christ. A characteristic of anti-revival doctrines is that they turn the grace of God into a license to sin. Believers can be assured of their salvation. However, the promise of security is for believers are for those who continue in the faith. John 6:27 All that the Father giveth me shall come to me; and him that cometh to me I will in no wise cast out. Jesus will not cast you out of salvation once that you are seeking after him. God will never take away eternal life from those who walk in faith in him. John 10:27-28 My sheep hear my voice, and I know them, and they follow me: 28And I give unto them eternal life; and they shall never perish, neither shall any man pluck them out of my hand. 29My Father, which gave them me, is greater than all; and no man is able to pluck them out of my Father's hand. In addition, no force will be able to take you away from the salvation that is in Christ Jesus as long as your faith is in Him. Romans 8:38 For I am persuaded, that neither death, nor life, nor angels, nor principalities, nor powers, nor things present, nor things to come, 39Nor height, nor depth, nor any other creature, shall be able to separate us from the love of God, which is in Christ Jesus our Lord. Here, the scripture emphasizes that nothing can separate us from God’s love. It is important that we understand that believers have the assurance of salvation. If you trust in Jesus, then you have the confidence of eternal life. Nothing can separate you from God once as you trust in Christ Jesus. “once saved always saved”. Once Saved Always Saved is the idea that once you are saved, no matter what you do, the way you live, and even if you rebel against Christ, you cannot lose your salvation. Some who adhere to this doctrine teaches that sin may cause you to lose some eternal rewards, and may even shorten your earthly lifespan, but you will still have eternal salvation. Again, salvation is sure for believers. But those that walk away from their salvation by denying the faith, or practicing a rebellious lifestyle contrary to God’s will, have forfeited their claim to eternal life. The Bible warns of this deception saying in Ephesians 5:6-7 For this ye know, that no whoremonger, nor unclean person, nor covetous man, who is an idolater, hath any inheritance in the kingdom of Christ and of God. 6Let no man deceive you with vain words: for because of these things cometh the wrath of God upon the children of disobedience. Anyone who practices a sinful lifestyle will experience the wrath of God including those at one point may have expressed faith in Christ, but afterward walked away from that faith. Is it Possible to walk away from your faith, and forfeit your salvation? In short, yes. The Bible gives many warnings of this possibility. Hebrews 10:26-27 For if we sin wilfully after that we have received the knowledge of the truth, there remaineth no more sacrifice for sins, 27But a certain fearful looking for of judgment and fiery indignation, which shall devour the adversaries. N ote: “after that we have received the knowledge of the truth”. This is speaking of one who was walking in a relationship with Christ. If a professed Christian, who came to faith in Christ, decides to rebel against Christ in his lifestyle by willfully practicing sin, then there remains no more sacrifice for his sins. A person who denies her faith through words or actions has no other remedy for her sins. Of course, God gives everything needed so that the believer does not need to go back to a willful rebellious life of sin. For example, God provides the conviction of the Holy Spirit, Christ as an Advocate, the Holy Spirit as a Guide and the opportunity to confess and receive forgiveness, so that the believer never needs to continue in a lifestyle of rebellion. Therefore, the person who fully rebels against God, have no excuse for doing so: nothing remains except judgment. Galatians 6:7-8 Be not deceived; God is not mocked: for whatsoever a man soweth, that shall he also reap. 8For he that soweth to his flesh shall of the flesh reap corruption; but he that soweth to the Spirit shall of the Spirit reap life everlasting. We will reap corruption if after knowing the truth, we turn away from the Spirit’s prompting, and devote ourselves to living by the sinful desires of the flesh. Colossians 1:22-23 In the body of his flesh through death, to present you holy and unblameable and unreproveable in his sight: 23If ye continue in the faith grounded and settled, and be not moved away from the hope of the gospel. Our salvation is secure by grace through faith. We must continue in faith for us to receive the hope of the gospel. In scripture, the term “believing” is a continuous action. A person cannot believe at one point in life, and then for years live in unbelief and still claim salvation. We must continue in the faith to receive eternal life. However, you can be assured of that salvation from now, since it is not expected for you to leave the faith. God has provided everything you need to live a godly life so that you remain in the faith. It is possible to leave the faith, but God has done His part in ensuring you have received everything to continue in the faith. So-called Christians who turn away from their faith are completely rebelling against God. The former angels lost their position and are headed for full judgment because they rebelled against God. Those who once professed faith in Christ, and knew the truth of God’s word will also lose their position in heaven if they walk in rebellion against God. However, we do not expect to rebel against the Lord. 2 Peter 2;20-22 For if after they have escaped the pollutions of the world through the knowledge of the Lord and Saviour Jesus Christ, they are again entangled therein, and overcome, the latter end is worse with them than the beginning. 21For it had been better for them not to have known the way of righteousness, than, after they have known it, to turn from the holy commandment delivered unto them. 22But it is happened unto them according to the true proverb, The dog is turned to his own vomit again; and the sow that was washed to her wallowing in the mire. Note: (1) Escaped the corruptions of this world (2) Through the knowledge of Christ. This speaks of someone who was saved. They escaped the world’s corruption by knowing Christ. This is only possible through a saving faith in Jesus Christ. However, the scripture then goes on to describe how these men walked away from the way of righteousness. The person who was once saved, and then rebels against Jesus Christ by denying the faith, or by living in complete opposition to God, has gone back to a worst state than when they first believed. This person no longer walks in salvation. There are two ways to walk away from salvation: (1) Deny our faith in Jesus Christ, or (2) Live in complete rebellion to God by willfully and openly practicing sin. How can we know that we will never deny our faith or practice a rebellious lifestyle? Simply, by taking our salvation seriously. Take Hold of the Gospel (verse 1). Keep in Mind that Our Salvation Came from the Lord Jesus Himself (verse 3). Remember that Rebellion will be Judged (verse 2).